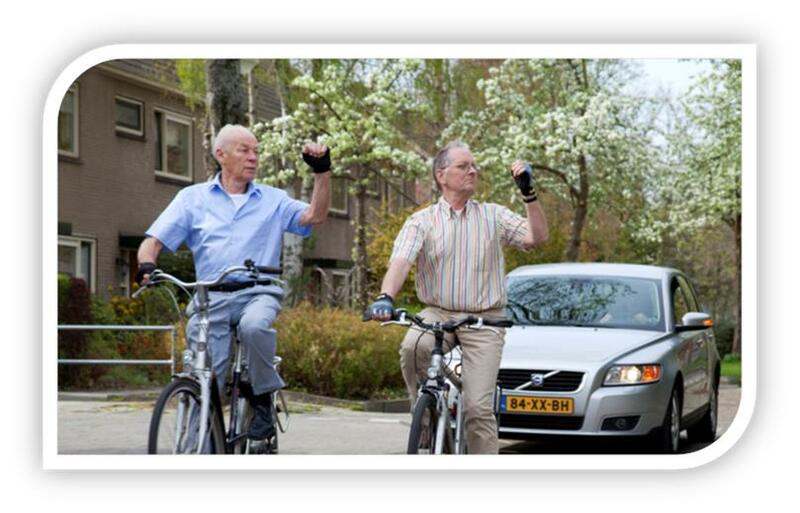 Did you know that over 40% of the cyclists prefer a rear-view mirror? Most heard arguments: clear view to the rear, quicker sight on situations in traffic, anticipate in traffic and feeling safe. Traffic is getting crowded and the amount of (vulnerable) cyclists is raising. See and to be seen is essential for a safe cycling trip. A rear-view mirror can be a substantial support in traffic. 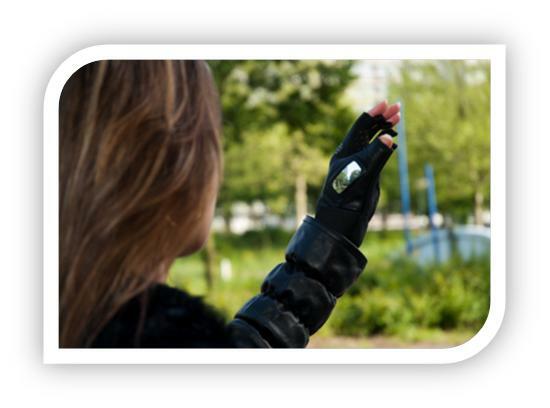 Looky is the first and only rear-view mirror integrated in a glove. The patented model is unique in the world. The convex mirror makes you able to, like a car mirror, see what the situation to the rear is. Without constantly looking over the shoulder. Using a rear-view mirror during cycling trips prevents unwanted surprises. Unlike traditional mirrors for cyclists, Looky is not part of the cylce (therefore not easy to steal) nor a vulnerable spur. * Convenience: just in one sight, a clear view to the rear, so less looking back. * Safe: keep looking straight forward. Keep your attention to the road in front of you. * Handy: always have a (rear-view) mirror with you. * Unique: Looky can not be compared to other rear-view mirrors for cyclers. * Social: keep in contact with followers of the group or your child sitting behind you. The rear-view mirror is integrated in the left glove, on the real leather thumbside. The 5 cm x 2 cm (1.97 x 0.79 inch) convex mirror has similar qualities and effects as real glass, but is much safer, stronger and shatter-resistance. A thin transparant layer protects the mirror. You can easily remove the layer if you wish. The palm is made of Alcantara, giving maximum hand comfort, increased durability and stain resistance. Including padding on the palm for pressure points and grip. The back of the hand is made of stretch mesh for a nice air flow and maximum flexibility for your hands. Velcro closure for unrestricted wrists. Looky can be pulled off easily by the pull tabs on the fingers. Looky is ideal for every type of cyclists. Recreative and sportive. Young and old. Ask your local dealer to experience Looky for yourself. Of every LOOKY sold part of the revenue goes to the Dutch KWAMUTEGEN childfoundation for the financial support to young victims in traffic.